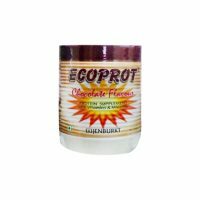 View cart “Ecoprot Chocolate 200 GM” has been added to your cart. Inlife Super Antioxidants Immuno Booster Immune Care Supplement, boosts immune system,helps improve gut heath,supports heart health and lowers the risk of any type of major illnesses. 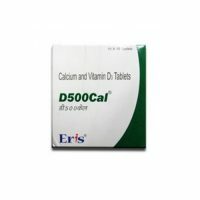 It helps in fighting fatigue and tiredness. 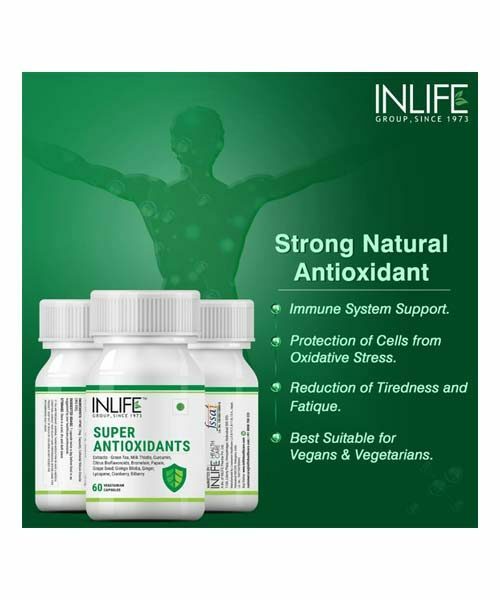 BOOSTS IMMUNE SYSTEM: Inlife Super Antioxidant supplement contains blend of natural extracts that supply your body with nutrients which is needed to fight against infectious germs and bacteria. This antioxidant-rich formula helps the body to fight against free radicals, strengthens the body¢s natural defence system, optimizes resistance power and boosts the overall immune system. PACKED WITH NATURAL ANTIOXIDANTS: Anti-oxidants helps neutralize the effects of damaging free radicals and protects cell from damage. Consuming food rich in antioxidant also supports heart health and lowers the risk of any major illnesses. Also helps in fighting fatigue and tiredness. 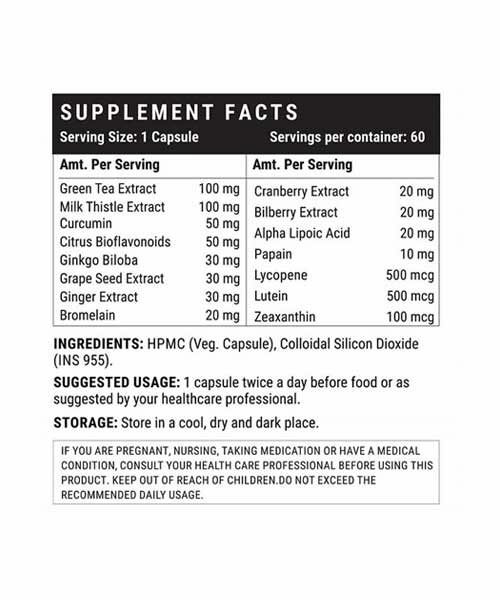 PREMIUM QUALITY INGREDIENTS: This dietary supplement contains all-natural ingredients such as Green Tea Extract, Milk Thistle Extract, Curcumin (Turmeric Extract), Ginkgo Biloba Extract, Grape Seed Extract, Ginger Extract, Cranberry Extract, Bilberry Extract, Lycopene. It also contains Citrus Bioflavonoids, Alpha Lipoic Acid, Lutein, Zeaxanthin guaranteed to improve vital metabolic functions and transform overall health. ENRICHED WITH DIGESTIVE ENZYMES: This super natural formula is enriched with ingredients like Papain and Bromelain which are most potent digestive enzymes which helps improve your gut heath. PURITY & POTENCY: Inlife product contains the most natural and effective formulation of trusted natural ingredients that are carefully processed and manufactured in a GMP certified manufacturing facility. Inlife products will give a safe health. QUALITY: INLIFE Healthcare stands by every quality product they make. Inlife is manufacturing of premium, extra pure & high potency supplements. 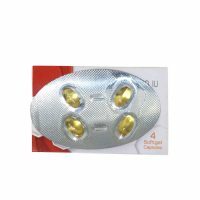 Which include liquid filled capsules, HPMC (Veg) capsules, vitamins and minerals, ayurvedic extract capsules, protein powders and health juices. Also there is a range of skin and personal care products. Inlife wide range of supplements are well suited for all age groups from children to elderly and also men and women.